This recipe was time consuming, but the ice cream was pretty yummy. The kids loved it. I’ll probably make this again, but it’s a weekend recipe (takes some time). Please keep in mind that this recipe is finicky. You have to let it freeze just the right amount of time, and it has to be eaten right away, and it’s a lot of work… but i’m glad i made it. 1. 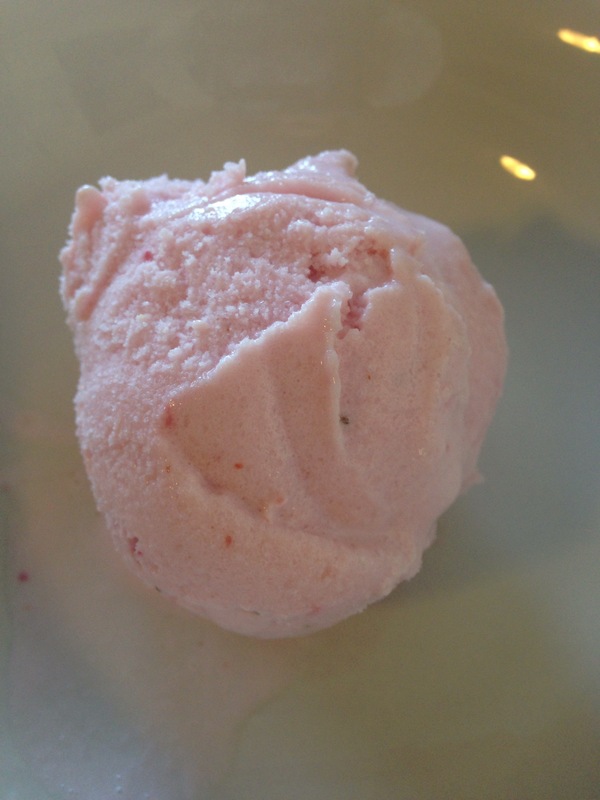 Place strawberries in a small food processor and puree until only small chunks remain. 2. Combine yogurt, splenda, vanilla and honey in a bowl. 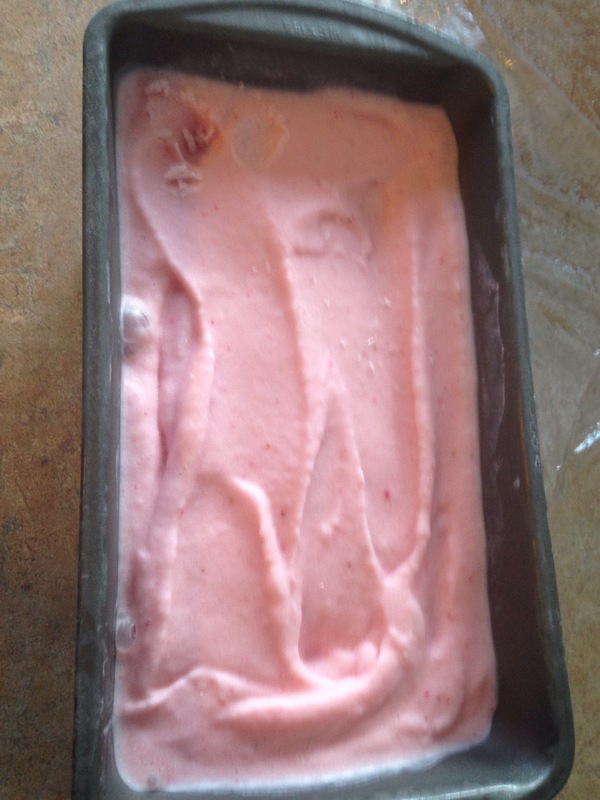 Mix in strawberries and 1/2 cup milk. 3. Pour mixture into a gallon-sized zip-top freezer bag. Lay the bag flat, and spread the mixture into an even layer pressing to eliminate air pockets. Close the bag and lay it flat on a shelf in the freezer. 5. Remove the bag from thee freezer and break the mixture into small pieces. 6. Place the pieces in the bowl of a food processor; add remaining milk and blend until smooth. 7. Pour ice cream into an 8×4 bread pan. Cover with plastic wrap and return to freezer. 8. Freeze for 1-2 hours, and serve immediately. If you freeze it longer, and it gets too hard to scoop, let it sit on the counter for 5-10 minutes or until it’s scoopable.